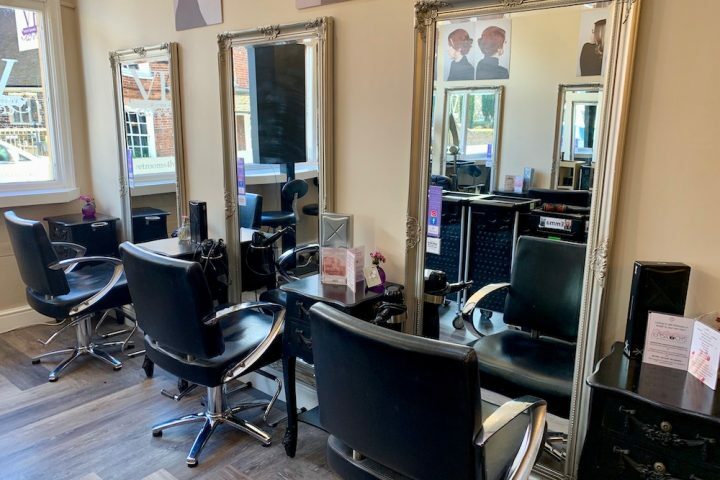 A new beauty salon has opened in Frimley with an industry expert at the helm, so there was really only one thing for it. Muddy hot-footed it through the door to sample the treatments. 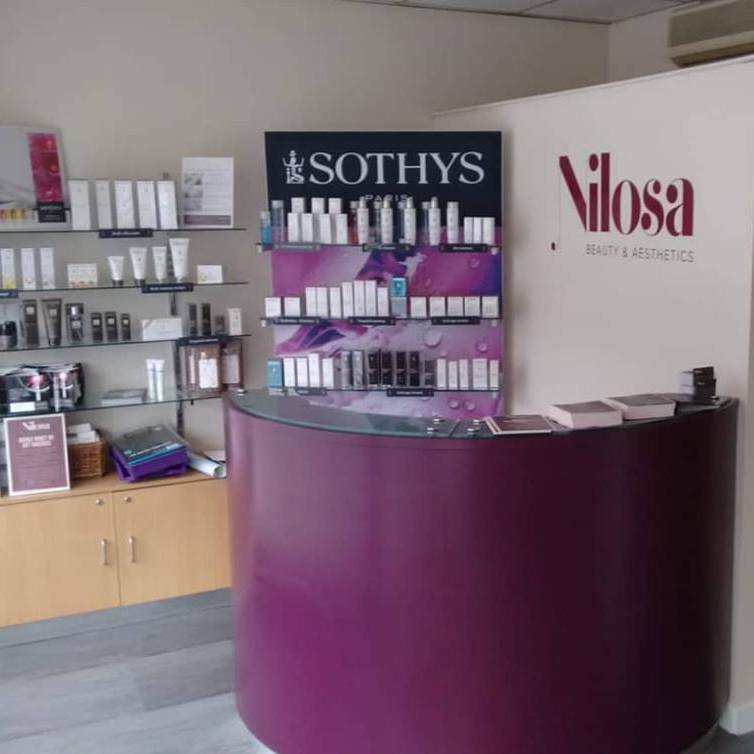 Nilosa is a brand new salon on the High Street in Frimley (where the former V-Salon used to be). It’s owned and run by Nichola Sackley, a highly experienced skincare therapist with bags of knowledge and wisdom when it comes to beauty. 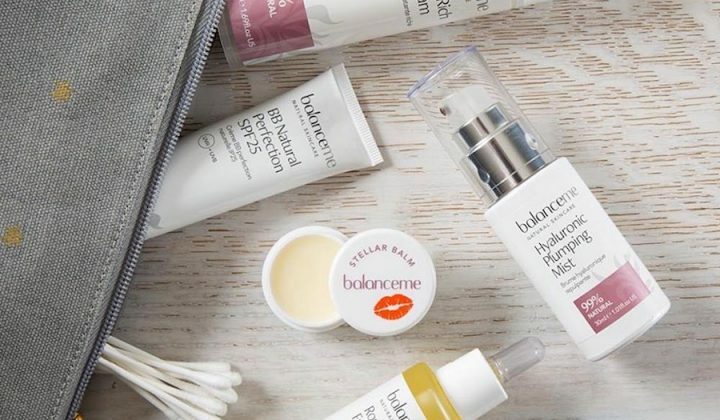 As one of the official visitors for the Professional Beauty Awards since 2015, she’s done the rounds of many a beauty salon and had more treatments than you can poke a perfectly manicured fingernail at – so she knows what works and what doesn’t. The decor at Nilosa has been kept fairly neutral. It’s not über-girly – because this is a salon that specialises in treatments for men as well as women. The salon offers the usual range of beauty and aesthetic treatments – massage, manicures, pedicures, eyelash and eyebrow tint and lift, makeup, waxing and facials. 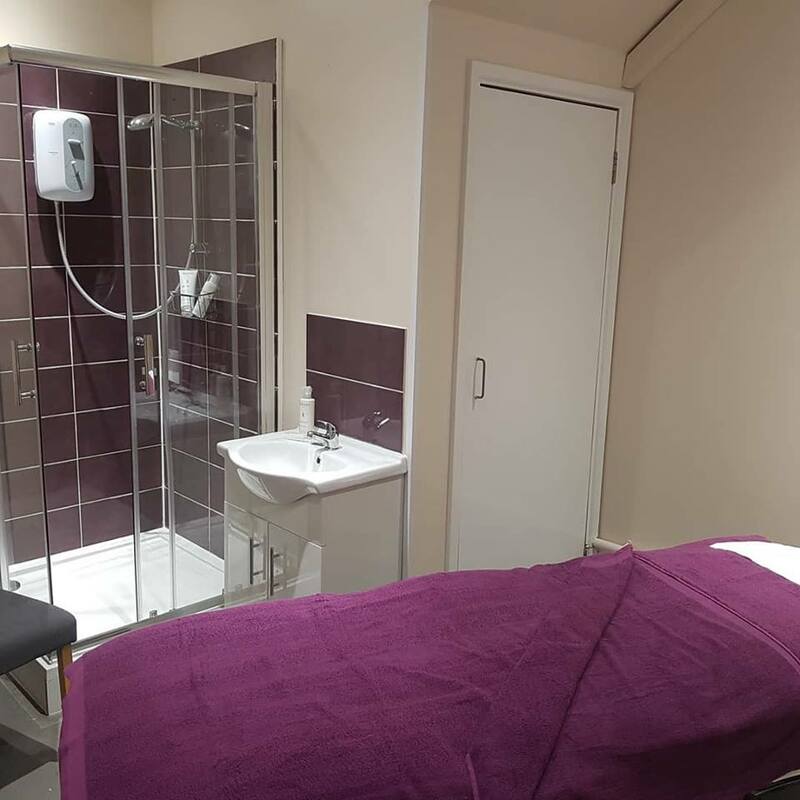 Nichola’s particular expertise is in facials, and she offers quite a range for both men and women using Sothys, the French skincare brand of which she’s a huge fan. 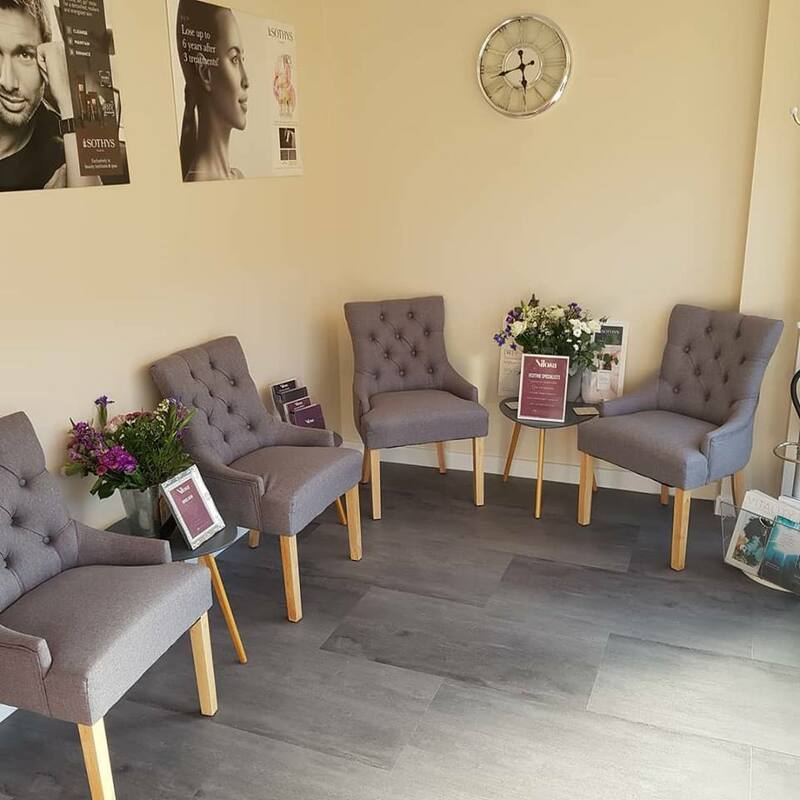 But what sets Nilosa apart from your average beauty salon, is the range of visiting specialists who also offer services here – including plasma therapy (that’s a non-surgical facelift to you and me), botox and fillers, lash extensions and chiropody and podiatry. It’s your all-under-one-roof salon for beauty, relaxation as well as essential maintenance needs – and I love it. This is the perfect salon for the busy man or woman. Being a busy woman myself and in need of some relaxation and something to bring back the glow to my overtired mug, I booked in for the Essential Facial Treatment and a Back, Neck and Shoulder massage. First up was the massage, with Maya. I have a niggling netball injury in my right shoulder – no doubt compounded by me lugging around an oversized handbag stuffed full of books, laptop and various other bits and pieces I probably don’t really need to tote. Maya was brilliant. She worked on my shoulder – as well as my neck and back – a treat, and also found I had some tension in my left shoulder which she worked out with those magic hands of hers. We’ll blame that tension on the hours I spend sitting in front of my laptop! After the massage, and still in that wonderful slumberous state, Maya left me in the expert hands of Nichola for my facial. This facial is one that’s tailored to your skin’s needs, so Nichola started with a bit of investigative work, bringing in the bright lights so she could get a good look at the state of my dial. I have some redness caused by fragile capillaries, but otherwise my skin was in pretty good nick. If you love a facial that’s as relaxing and it is effective, this is a good one to have. It’s utterly sublime – and in between the cleansing, exfoliating, deeper cleansing, facial mask and hydrating treatments, Nicola will massage your face and your scalp (or feet if you’d rather). If this doesn’t leave you feeling amazing – believe me, nothing will. 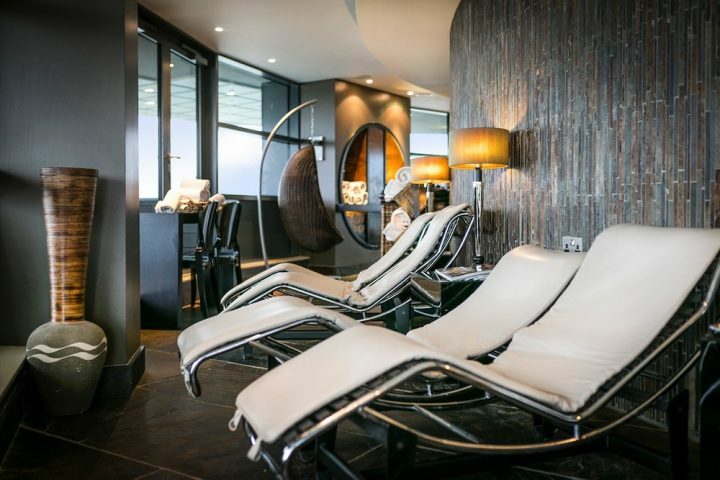 Ready, steady, glow: after the Essential Facial Treatment at Nilosa. 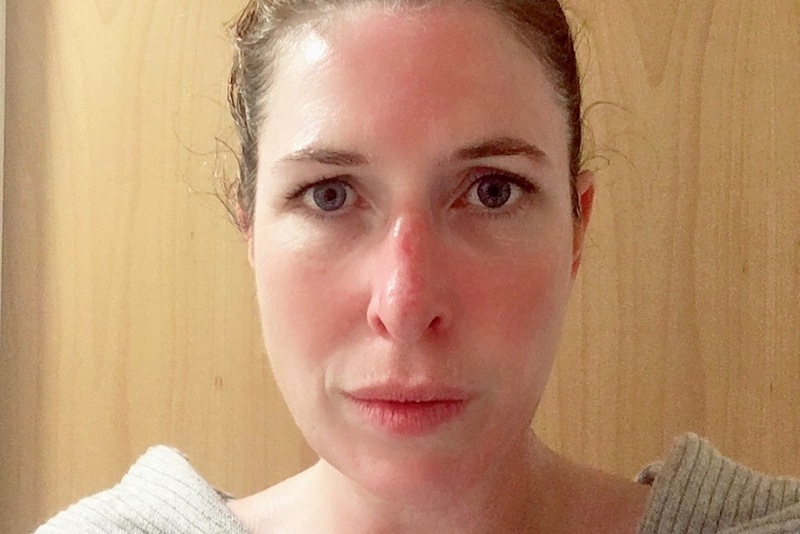 What can I say, this is me minutes after the facial – and I’d say my skin is looking rather dewy and lovely. If you’re after a pre-party plump and glow, this is most certainly the facial to go for. The Essential Facial Treatment costs £50 for 75 minutes, and the Back, Neck and Shoulder massage was £30 for 45 minutes – which in my book is brilliant value for two-hours of delicious relaxation.